The Secret Trauma remains the definitive argument for the overwhelming prevalence of incestuous abuse. Based on findings about San Francisco, the book makes a persuasive case for an epidemic of abuse on a national scale. 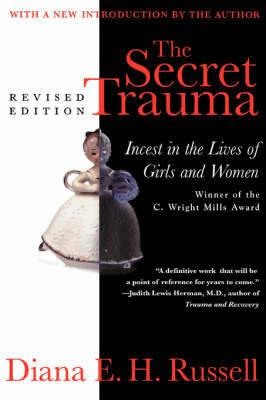 In her nuanced and sophisticated analysis, Russell carefully explores the complex variables of incestuous abuse: the changing incidence of abuse over time, the severity of th abuse, the victim's age, factors of class, race, and ethnicity, and long term effects on victims.In a new introduction to the revised edition, Russell takes on the most important issue to arise in the field since the book was originally published in 1986: the serious backlash that followed the outpouring of reports by victims/survivors, and the controversy over false accusations and false memories."